We’re excited that you’re interested in getting to know more about who we are as a church! One of the best ways to do that is to give us the chance to hang out with you for lunch so we can give you the chance to get to know us, ask questions and find out what your next step is. It also gives us the chance to get to know you a little as well. 1. You’ll hear about our purpose, what we are passionate about and where we’re headed as a church. 4. We’ll watch your kids for you. Yep – for free! 5. You’ll find out how you are uniquely designed by God to make an impact for Christ! 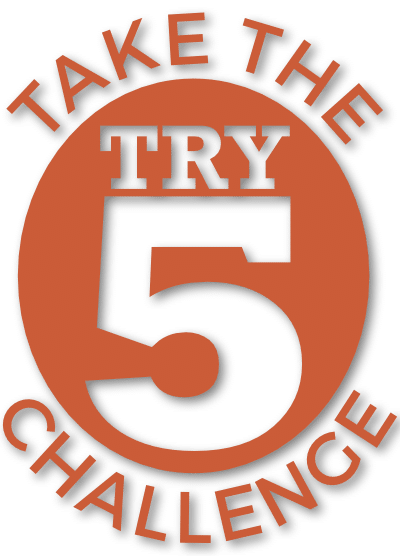 If you haven’t already, we would also like to encourage you to take the “Try 5 Challenge”. It’s one thing for us to tell you about who we are but it’s even better to give you the chance to see it for yourself over a stretch of 5 weeks so you can know if this church is the right fit for you and your family.